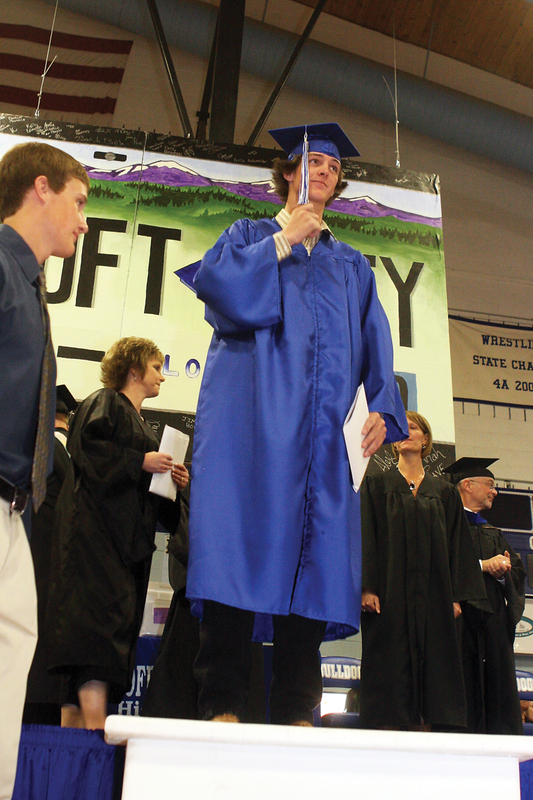 Nick Chew switches his tassel during the graduation ceremony Saturday at the Moffat County High School gymnasium. 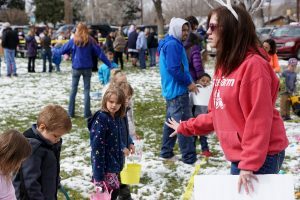 The Class of 2010 celebrated with firecrackers and silly string. 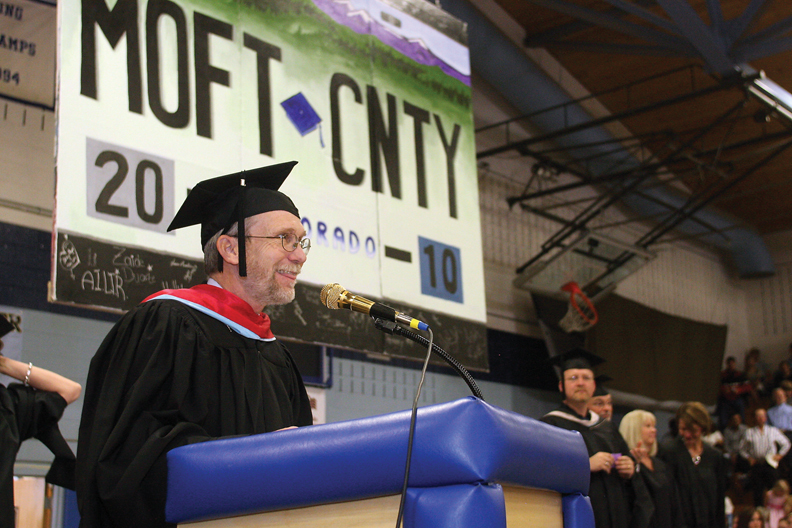 Thom Schnellinger, Moffat County High School principal, addresses the crowd during the 2010 graduation ceremony Saturday at the MCHS gymnasium. He called the Class of 2010 a “fun-loving” group. 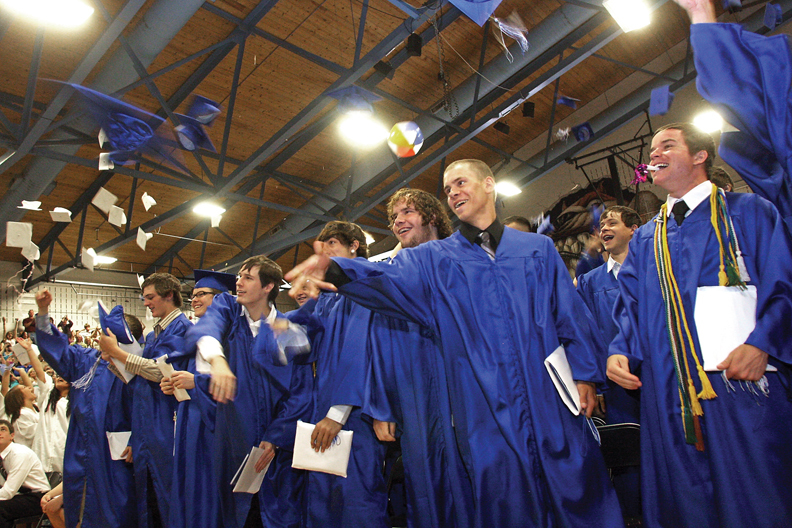 Moffat County High School seniors throw their caps during a graduation ceremony Saturday at the MCHS gymnasium. 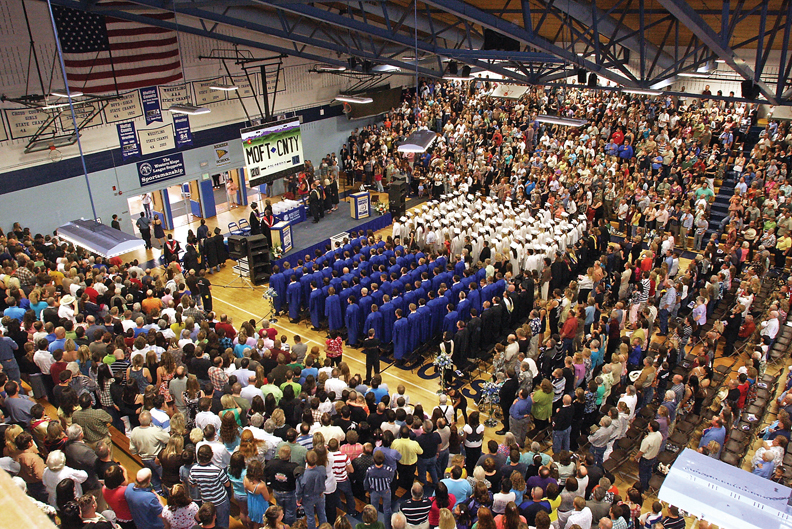 The MCHS Class of 2010 had 169 graduates. 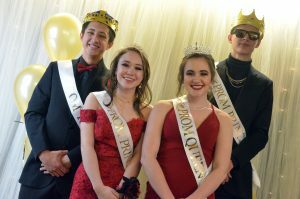 Visitors filled the Moffat County High School gymnasium Saturday for the 2010 graduation ceremony. The school set up a live video feed in the auditorium for overflow seating. 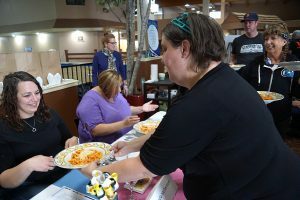 Zaide Duarte waves to the crowd during the graduation ceremony Saturday at the Moffat County High School gymnasium. Duarte was one of 169 graduates.